Home Fashion What to wear on a boat ride? Since I started this blog at end of last year, I have been super busy. As you know I am a teacher so I have my summer off. But it seemed I was even more busy because there are always so many things I can do to improve my blog and try to get more traffic. Do you see a patten here? I am a workaholic and I am not happy with it! So I promised myself that at least for the month of August I would really have my summer break! Well, it’s fair to say that I am getting better. But according to my husband I still have a long way to go. 😉 He does consider himself to be somewhat of an expert on chillaxing and I guess he is right; because every week I still have a few fulltime 8 hour days working on my blog. But at least we went on a couple long weekend/short vacations this month. This last weekend we spent a wonderful day on a friend’s boat. We have been invited for many years but somehow just never made it. The night before our lake date I started thinking about what to wear on the boat. I have been on a few cruise ships but never been on a private yacht. My original plan was a striped tee with white shorts. But at the last second I changed my mind and settled on this outfit. Who can resist a flowy white top for a summer boat ride? Roxie is the name of our friend’s new dog. She is such a cutie and we quickly became best buds. If you follow me on Instagram you already saw this cute photo below. If you aren’t following me, what are you waiting for? You already know I’m pretty awesome but then you’d be able to know me more as a person. 😉 Anyway, that fashionable dog bag is just Roxie’s life jacket. When we were shooting photos she ran out of the boat. I had to catch her before she wandered away. After a short break we headed back out on the lake again to watch the sunset. It was the most peaceful and beautiful sunset I have ever seen. It is pretty cool that we could just dock our boat at a waterfront restaurant and enjoy our dinner. And timing was everything. There just happened to be a Jamaican band playing Reggae music into the night. A short boat ride back to our home marina and then we thanked our Captain and First Mate friends, said goodnight to Roxie and drove home. What an AWESOME summer Saturday! Maybe I could get used to the relaxing life! 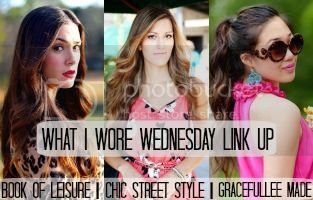 Last Wednesday My Arm Charms online boutique and I teamed up for a giveaway. And the lucky winner is Jill from http://www.dousedinpink.com. Congrats! 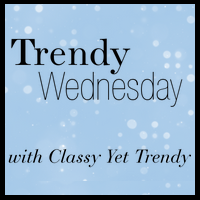 And don’t forget to linkup below. Top :: BCBG [Same here. ] Wendy from Wendy’s lookbook has the same top too. I think this is the perfect outfit for a boat trip! Casual and very chic at the same time, and the flowy top is fabulous. Looks like it was a gorgeous day! Your breezy outfit is perfect for a day on a boat! I’m so excited I won the Arm Charms! Thank you! Love the floaty top…perfect with the denim shorts and perfect for a day on the boat. Glad you were able to relax for a little bit! Love your breezy white top. Perfect for a boat trip! You look lovely! This outfit is perfect for time on a boat! I ‘m loving that bag and your pictures are so lovely. You look very stylish for your boat ride! I love that breezy white top and leopard bag!! Amazing look! Especially love your bag! This is a very cool and chic summer outfit! That Badgley is a killer!!! Super chic summery look. Perfect for a boat ride. It sounds like the perfect getaway! Wow Grace, I had no idea you were working 8 hours a day on your blog , that is awesome but it shows. Loving your boat outfit, and learning more about Roxie. I loved this post, Grace! You look gorgeous, and it looks like you had a wonderful time boating! There’s nothing better than spending time on the water in the summer. 🙂 And oh my goodness – that photo of you holding Roxie by her life jacket is too sticking cute! Perfect look for a day of boating, love that top! So many gorgeous pictures. . your outfit is perfect for a boat trip! Love the white blouse and the hat.. you look fab! Amazing pictures! Love this look! You look like you had such a fun day! I saw the doggie purse on Instagram and thought it was just the cutest idea! Love your outfit. That vest is amazing! The fit and cut of that top is gorgeous. You and Roxie are both adorable. Glad you were able to have some time away – important to be able to have time to recharge the batteries. omg your dog is so adorable! love your bag as well ! Now that’s how you take a break! This top is literally perfect for a boat ride! Love how flowy it is! Cute post! Loving that leopard bag! I’ve been loving these pictures on IG. Your top and shoes are the best! What a fun day! I really need to make friends with someone who has a boat! Love the flowy white top! And the pup is so cute! Love your boat look! I agree, I would grab a white flowy top too! Glad you finally took some time to relax and enjoy the ride. I’m loving the breezy white top and hat! Looks perfect for a boat ride! You look absolutely fabulous in this clean, chic nautical outfit Grace! Love it from head to toe! Second image from the top is every darn thing. I love your flowy top. Sounds like you had great fun. I find myself pulling super long hours as well and I don’t even post as often as you do. This is a full time job for sure. Cute dog! Seriously, THE perfect boat look! I love your shorty shorts with the flowy top. And those sunnies!!! wow, what a wonderful outfit. I love it. You look fab. boat rides are the best! that flowy top is amazing! Your dog is adorable. The top looks so chic paired with the denim shorts and the bag is my absolute fave! Great look for sailing. Love riding a boat, we did it this summer too. How you can do your blog so many days and teach full time is beyond me! You are a hardworker! I used to teach and didnt have much time for other things. Love the white with denim look and that bag the suede on the side ooooo! love. Absolutely gorgeous bag and outfit! Thanks for sharing! This look is right on point for a boat outing – casual chic. Love the white top! Late posting regarding “Giant Boil/Cyst on chicks face!” Let us hope this gal is alive. She needed medical care before she messed with that mess.